Happy Friday, friends! 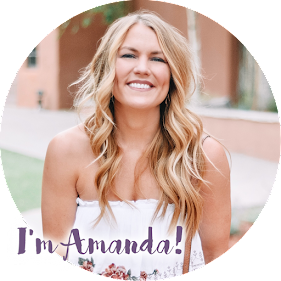 It is time for my monthly "real life" Friday Favorites post - a quick recap of everything going on behind the scenes in my day to day life. Honestly, this month has been crraaaaazy for me between work, evening work events every single Thursday, teaching Beyond 500, blogging, going to physical therapy and weekend social activities. I'm feeling a bit burnt out on everything (physically and mentally) so much so that I've barely picked up my phone to snap a picture of the pups. You know I'm worn out when that's the case! I've really had to come to terms with learning to say no to things - sometimes I can't do it all and that is OK! Whether that means taking a day off from working out, saying no to a cocktail in lieu of catching up on sleep or not finishing a blog post at 10 p.m. the night before it is supposed to go live....heck, I almost didn't even write this post. That being said, this Friday Favorites is short and sweet. LOTS has happened this month, but not a lot has been documented (at least not people, just snaps of random things). In a way, though, that's the way it should be. Less time on our phones and more time enjoying life with those we love. Can I get an amen?! 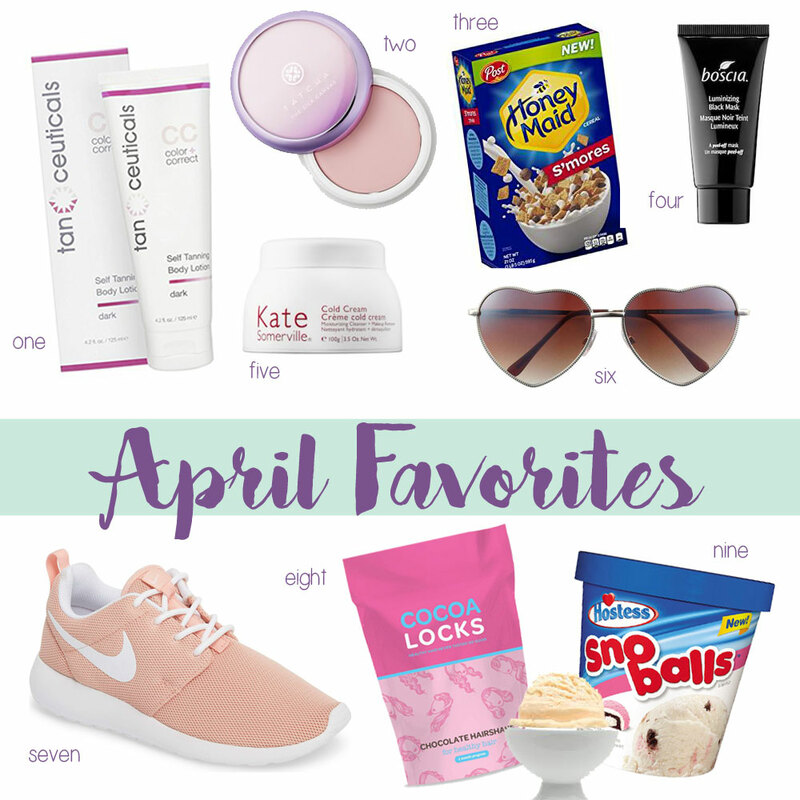 In regards to the picture above, it seems fitting for my "favorites" post because it is a few of my favorite things! 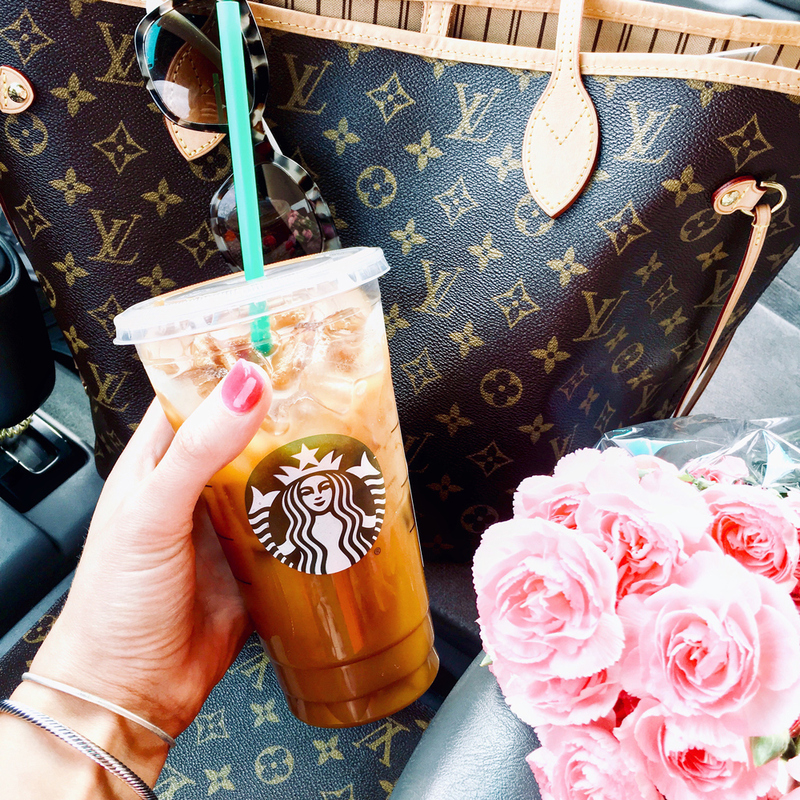 Coffee, flowers and Louis V. I'm basic, I know. 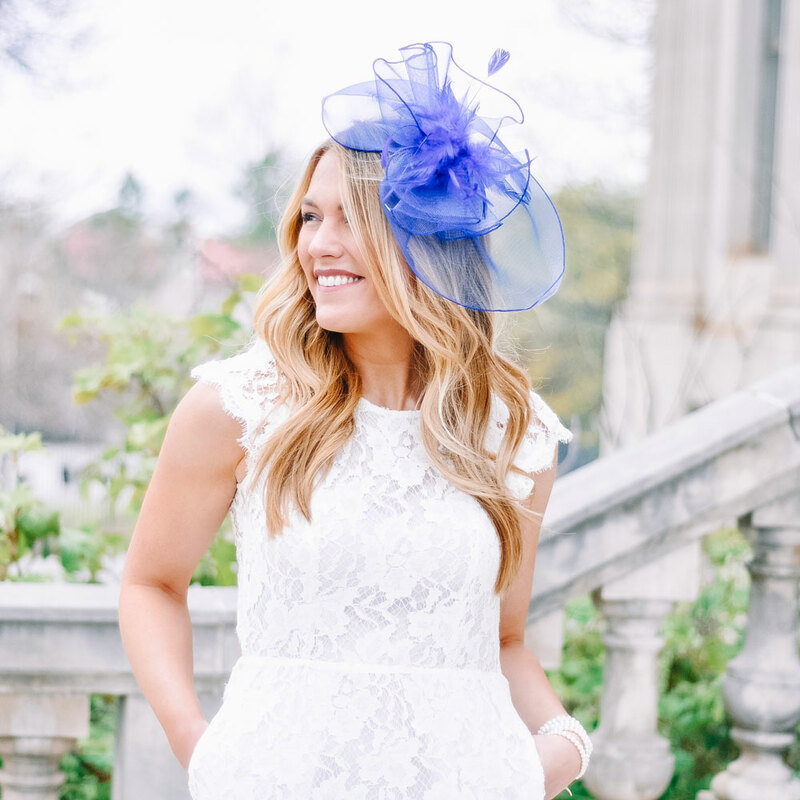 Grab your pearls, a fancy hat and a mint julep - Derby Day is almost here! The most exciting two minutes in sports will be taking place on Saturday, May 5. As a kid, my dream job was to be a jockey......then at age 10 I hit 5'9" and realized I wouldn't live out those dreams, HA! Tall girl probs. Regardless, the Kentucky Derby is the epitome of equine events and since I grew up riding horses, it has always held a special place in my heart. My parents lived in Kentucky for a couple of years, so I was able to tour Churchill Downs once when I visited them. It was SO fun - I highly recommend it if you are ever in Louisville! They have an entire gift shop filled with hats! I still haven't made it to the Derby itself, but it is a bucket list item, for sure. They say the inner field (where the affordable tickets are) is more like a giant drunken tailgate than a fancy southern gathering, but everyone still gets dressed to the nines! My neighborhood hosts a Kentucky Derby party every year, so that's where I'll be watching. Last year I won best dressed wearing this exact outfit AND placed all my bets on the winning horse. Hopefully this year I'll be just as lucky! Wait....did you just read the title right? 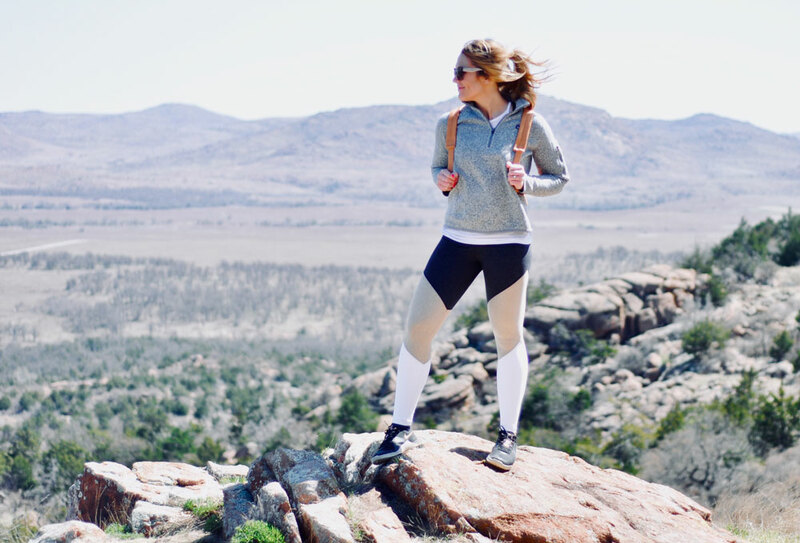 Hiking the Oklahoma Mountains? Believe it or not, there is a teeny tiny little mountain range in southwest Oklahoma called the Wichita Mountains. The little group is surrounded by flat rolling fields of wheat and cotton and is home to a wildlife refuge. 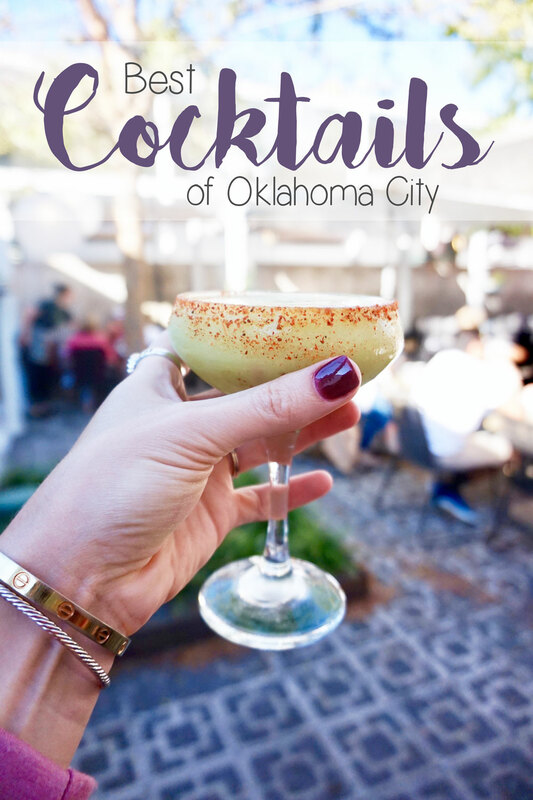 It is located just outside of Lawton and is a short hour and a half drive from Oklahoma City (only two and a half hours from North Texas) making it the perfect day trip location. With all the traveling I've been doing the last six or seven months, I've learned a lot about what shoes to wear and what shoes not to wear. Not all shoes are made for walking! There isn't much worse than getting a blister in the middle of a vacation that has a lot of walking involved - I know from experience..... I can't tell you the amount of times I've had to ask for bandaids at the front desk of a hotel! It is also important to wear shoes that are supportive and that won't leave the soles of your feet feeling tired and bruised. 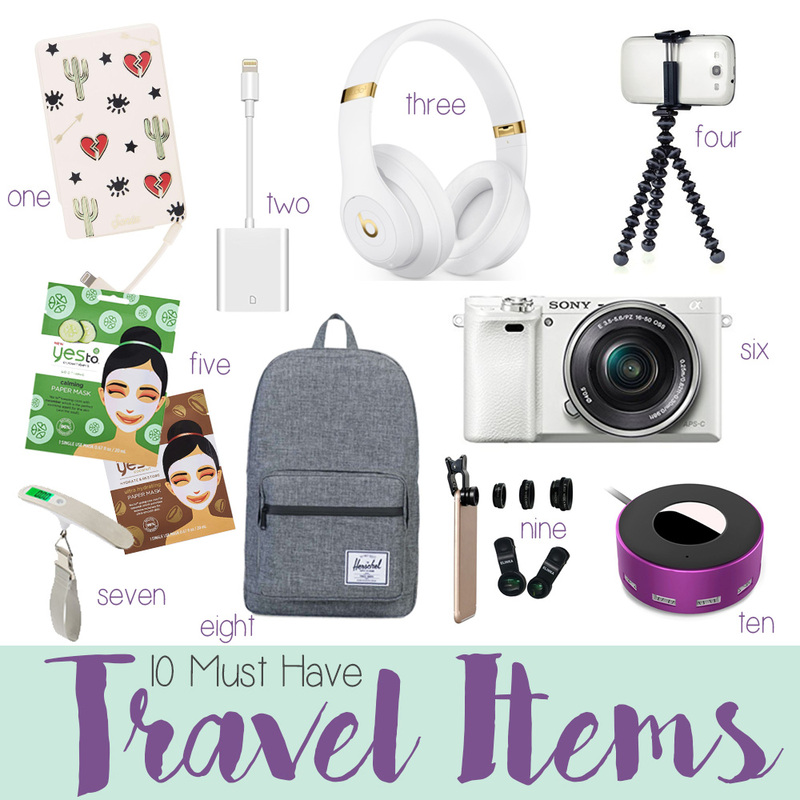 Lastly, you want to look cute (duh) and have shoes that fit in your suitcase and match a lot of outfits. 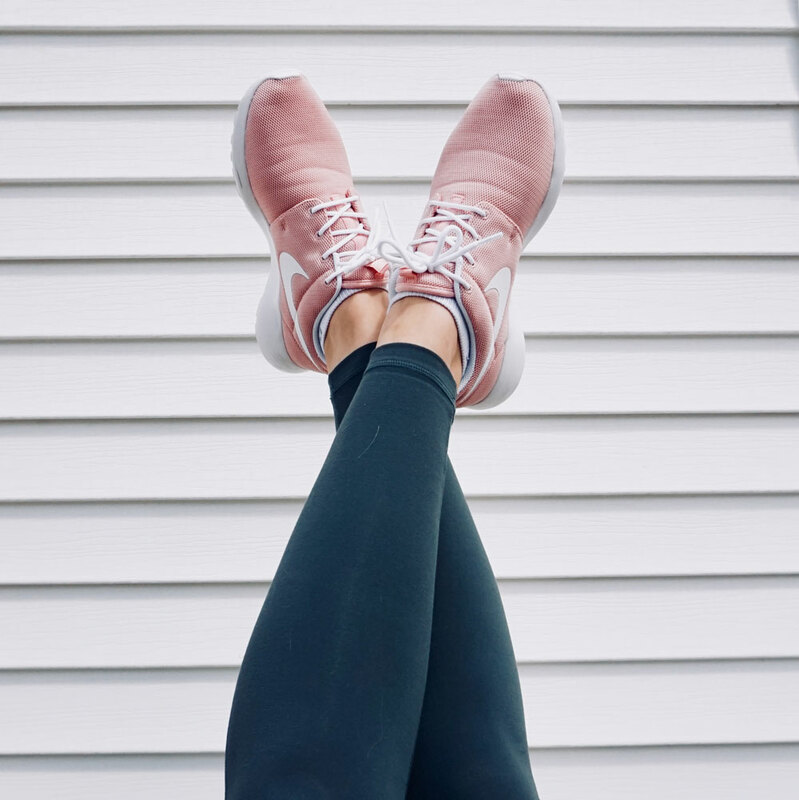 I rounded up my go-to shoes that have been travel tested and approved. Some of these have literally been around the world with me and probably have a few marathons worth of miles on them. Similar Vest Here & Here (on sale!) | Striped Tee | Leggings | Glasses, c/o Warby Parker | Shoes | Lips, color is "Stripped"
A while back, Cocoa Locks reached out to me and asked if I wanted to sample their drinkable hair vitamins. 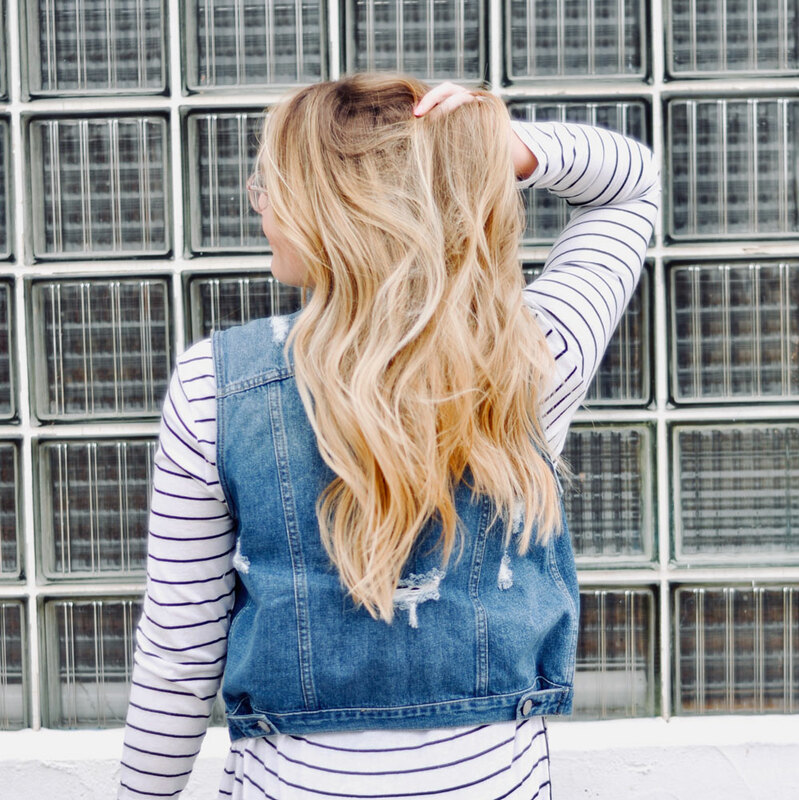 Of course I immediately said YES - I'm all for anything that makes my hair healthier. I've had long, thick hair most of my life so I wasn't expecting to see much extra growth from it....I was just hoping it would stay healthier and stronger between cuts. However, after using the product for a little over a month, I have been truly amazed at the results and had to share. I got my hair cut the day before I started using Cocoa Locks and it has already grown 1-2 inches! It is healthier than ever, too - shiny, thick and soft/silky. Normally my ends start to dry out pretty quickly after a cut because I use heat on my hair regularly, but not this time. They are still super blunt and healthy looking! This could be due to my current hair product routine, but I think Cocoa Locks has a lot to do with it, as well. My hair typically stops growing right below my bra line and it has already surpassed that - I'm anxious to see just how much longer it will get! Nothing good ever comes from making others feel bad about what they're eating. Not really. Actually, I have about a billion thoughts racing around in my head. Angry thoughts, annoyance, defensive remarks, frustration, pride, defeat, guilt, etc. A LOT of thoughts all jumbled up. So I'm about to get real with you and share something that has been on my mind. It has been a touchy subject for me for years. I'll try to get my thoughts on paper (err, screen) in a way that makes sense. 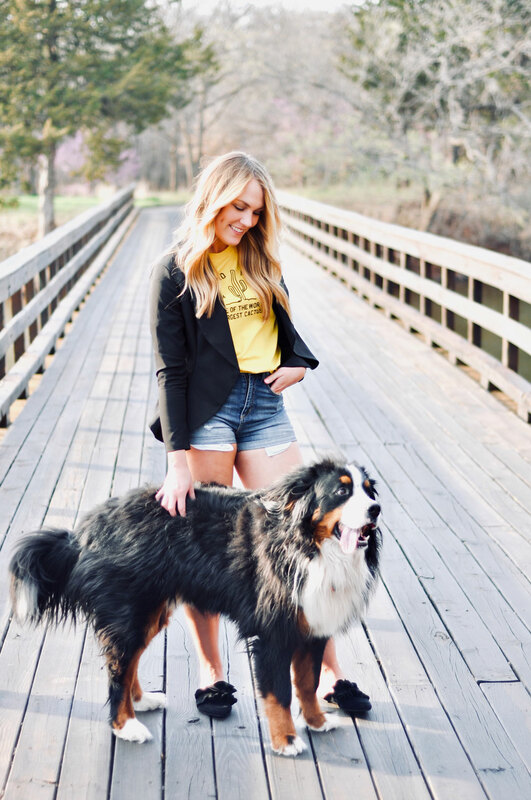 This blog post is really more like a therapy session for me, but at least there is a cute outfit and puppy pictures to break it up, ha! Are you ready? Good. Buckle up! 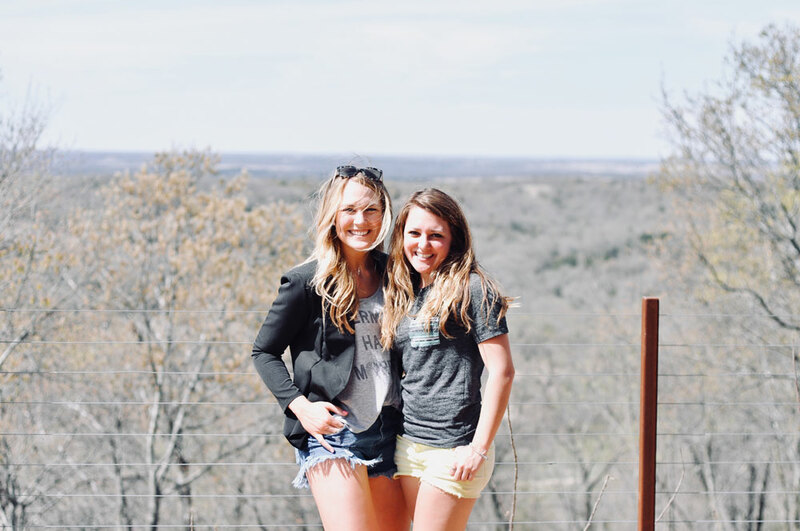 Last weekend I met my best friend from high school, Jessica, for a girl's weekend getaway in Texas wine country. Before planning this trip, I had no clue Texas wine country existed - and I grew up in North Texas! I didn't have high expectations for the wine, but I was pleasantly surprised and how pretty, charming and tasty the entire experience was. We visited three wineries in the North Texas Red River Valley and one brewery. I loved it so much and would totally visit them all again! It is the perfect getaway for a girl's weekend, whether that be friends, mom/daughter, or even a quiet, low key bachelorette party. It would also be ideal for a romantic weekend getaway for those who want to lay low and enjoy each other's company.